1 Sak Pak is good to boil 1 Sak of Crawfish, 50# of Shrimp or 1 Bushel of Crabs. Extra Spicy: Sprinkle on seafood after removing from liquid. 1 Sak Pak is good to boil 1 Sak of Crawfish, 50# of Shrimp or 1 Bushel of Crabs. Extra Spicy: Sprinkle on seafood after removing from liquid. 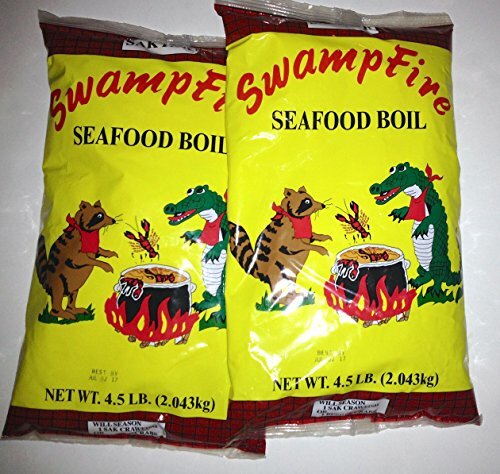 If you have any questions about this product by Swamp Fire, contact us by completing and submitting the form below. If you are looking for a specif part number, please include it with your message.